Moles are skin growth consisting of cells that produce pigment. They are not very attractive and most people are interested in a safe mole removal process. They can appear anywhere on the skin, in groups or alone and most people get a few moles during their first 20 years of life. Moles are rather peculiar; they don’t normally require treatment, but depending on their size, placement or mass, people will either flaunt them, so to speak, or detest them and basically will only want them removed because they cause discomfort when they rub against clothing, jewelry, shaving or for cosmetic reasons. At Magnolia Medical & Aesthetics, we recommend you have a full body skin exam to check for skin cancer before beginning a treatment. This will involve dermoscopy which is an examination of the skin using a hand-held skin surface microscope. If we have any concerns that your mole may present signs of early skin cancer, the mole will be removed surgically and sent to the laboratory for histological analysis. 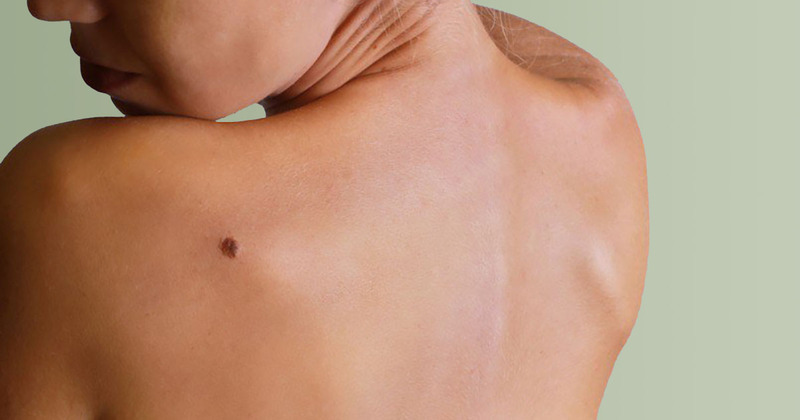 There are a number of ways that a mole can be removed. Three common mole removal options are regular surgical excision, a shave excision or a punch excision. In a punch excision, the dermatologist uses a small cookie-cutter like device and twist the mole plug out. This method requires a couple of fine sutures. In a shaving (tangential excision), the dermatologist cut the mole off using a sharp scalpel; no sutures are required. A surgical excision will be performed if the mole is larger. Most moles are not dangerous. Moles that are more likely to be cancer are those that look different than other existing moles or those that first appear after age 25. Does mole removal result in scarring? Removing any kind of skin lesion will almost always leave some kind of scar because a part of the skin has been removed. But, there are many steps that can be taken to minimize scarring. Mole removal is a relatively painless procedure. Local anesthetic is administered prior to shaving and excision and there should be no sensation at all during the procedure. A gentle solution such as Vaseline petroleum jelly can be applied to the treated area for a few weeks until the wound heals over.